THE PDC are delighted to announce a huge 40% increase in William Hill World Darts Championship prize money for the 2018/2019 tournament, where a £2.5 million prize fund will be on offer including a record-breaking £500,000 to the eventual champion. The 2017/2018 World Championship was an unprecedented success as 68,000 fans from around the world packed London’s Alexandra Palace throughout 15 days of action. Rob Cross became the eventual World Champion on New Year’s Day as he scooped the £400,000 top prize – the highest individual prize in the sport’s history – by defeating Phil Taylor in the final. Next year’s total prize money will increase by £700,000 from £1.8 million to £2.5 million, while the winner’s cheque goes up by £100,000 to £500,000. The PDC will be confirming an expanded field for the World Championship later this year, to include more global qualifying tournaments in an effort to continue the growth of the game around the world. “This year’s William Hill World Darts Championship was the biggest and most successful in the sport’s history,” said PDC Chairman Barry Hearn. “We were treated to thrilling matches throughout and the event exceeded all of our expectations with record TV ratings being reported globally and a new champion being crowned in Rob Cross. “Rob epitomises the PDC structure which gives opportunities for all players of ability without any barriers to entry. Monday’s final featured record TV ratings in Germany, where a peak audience of 2.7 million people watched the final, while 1.4 million watched the Sky Sports broadcast in the UK. 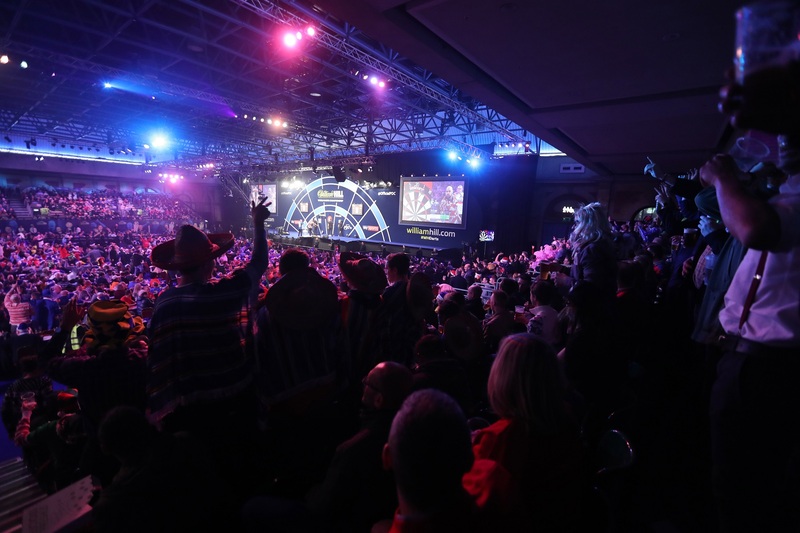 Going into the tournament, Sky Sports confirmed a new seven-year broadcast contract with the PDC, while the tournament will remain at Alexandra Palace following the completion of a new contract with the famous host venue to cover the 2018/2019 and 2019/2020 events.